I would like to know who i can e-mail, hoping a manager. I have a few personal questions. 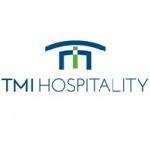 My email address is bisfigm@tmihospitality. com. Please let me know if I can be assistance. Ricevi una risposta dal personale e dai clienti precedenti di Fairfield Inn & Suites Bismarck North.